Brand New Cooling Tower Technology | Manufacturers of Cooling Towers & Systems | Delta Cooling Towers, Inc.
Cooling towers are gaining popularity in recent years, as more commercial, institutional and industrial facilities need large amounts of water to cool facilities and equipment. Cooling towers range in size, with the largest ones cooling water at hundreds of thousands of gallons per minute in places like large commercial facilities, and smaller structures handling just a few gallons per minute, like you would see for single pieces of industrial equipment. 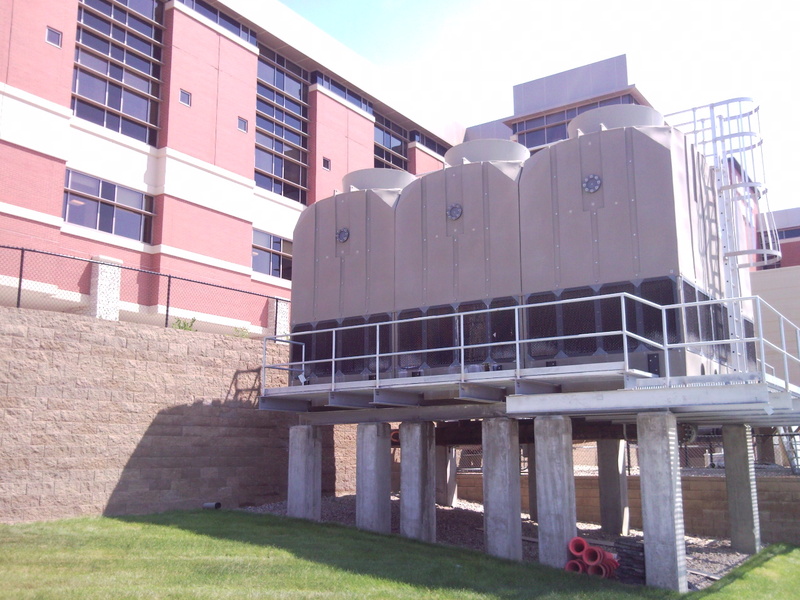 New cooling tower technology has made towers corrosion resistant, and helped the towers last for many years. Today, new technology is coming to the forefront for cooling tower manufacturers. Now, an aluminum manufacturer has found a way to add great longevity to their billet casting chilling system by working together with cooling tower manufacturer Delta Cooling Systems to include HDPE cooling technology. The aluminum extrusions they manufacture need quality billets, which can be difficult to find in certain lengths and logs. Without those billets, they cannot manufacture the extrusions, which puts customers at risk. To fix this issue, Sierra Aluminum Company has their own billet casting company featuring Wagstaff Billet Casting System. “At the tooling, these logs have a shallow molten metal core and a solid exterior," says Shayne Seever, vice president of administration at Sierra. “They are cooled in a direct chill process by water that is sprayed on the solid metal skin as it continuously exits the Wagstaff molding system.” Seever explained that without the help of Delta Cooling Towers, the chill process would not be possible. After a spray system the water is re-cooled using the tower.